I am kind of a storage box addict, especially since Jacob has so much stuff that needs to be stored! The child’s room typically looks like a toy store threw up in it. I’m just as bad, since I’m kind of a packrat. I have countless books that I can’t bear to part with and tons of random stuff that really isn’t stored with any rhyme or reason. I’m pretty sure I drive the neat freaks in my life a little nuts, since I never really have any idea of where I put stuff. Hey, I enjoy treasure hunting through my house! It’s big fun for me! Still, sometimes I would like to find what I need within a few seconds instead of a few weeks (or never). 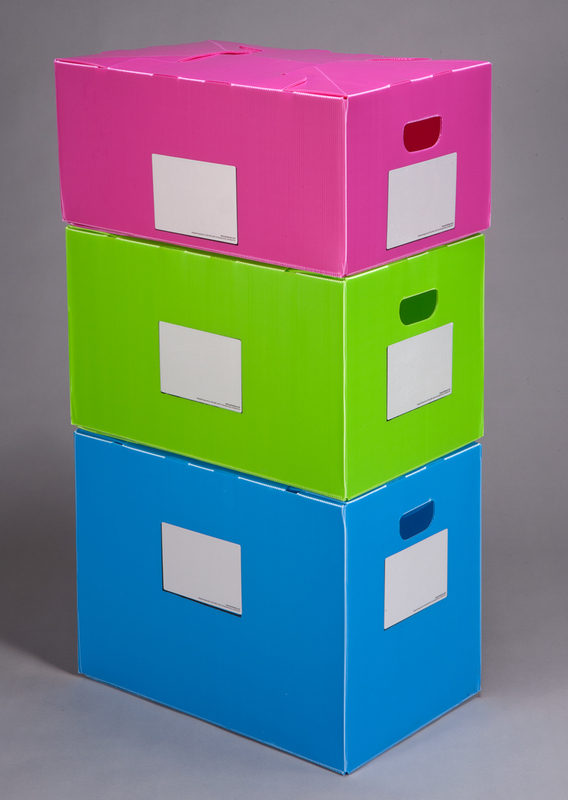 Packaways Reusable Plastic Multi Purpose Storage boxes make it pretty easy to store away items that I don’t need daily access to, and when I do need the items, I can store the Packaways themselves nice and flat. The come in plain natural clear color (sort of a milky white/clear, actual) or vivid flourescent colors like pink, blue, and green. Each one has a panel on the front or side that you can write the contents on. 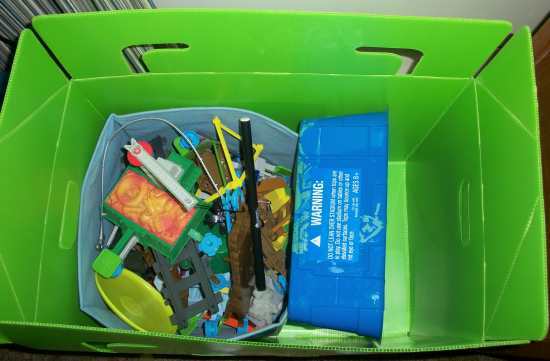 It’s erasable, so if you change the purpose of the box, just wipe away the old contents and slap on the new ones! The corrugated plastic keeps your items dry and safe. It feels like a really strong cardboard box, but works much better than one. Easy to set up, just push the tab in on the bottom and it’s done. Easy to collapse too! No tape, struggling to line up tab A to B to Z. Looks a lot nicer in the closet or play area than a plain box or ugly bin. 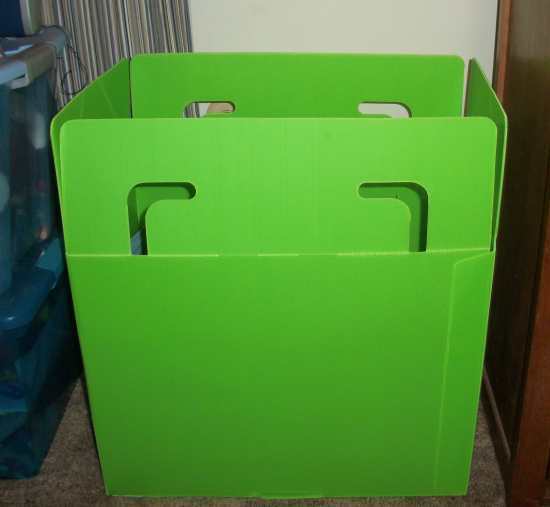 I received two Packaways for review: a large green one and a medium pink one. I used the green one in Jacob’s room, mostly because I figured he wouldn’t want the pink one. Plus, his stuff is bigger than mine, since he has a lot of toys. I love how the box fits neatly between his dresser and other toy bins.I left the top open so he can have easy access to his stuff. 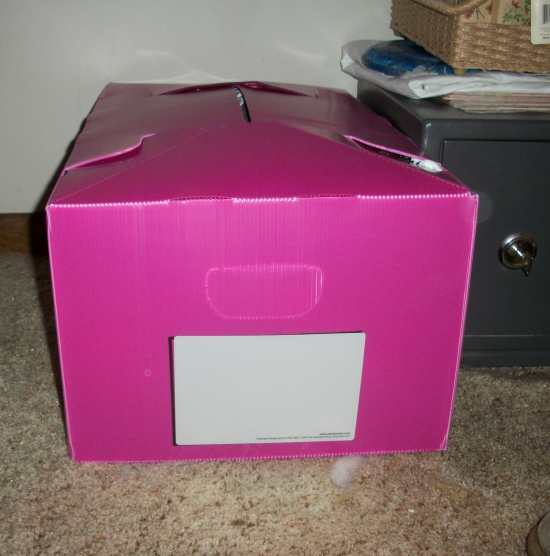 I used the medium pink Packaways container in my room to store seasonal clothing. 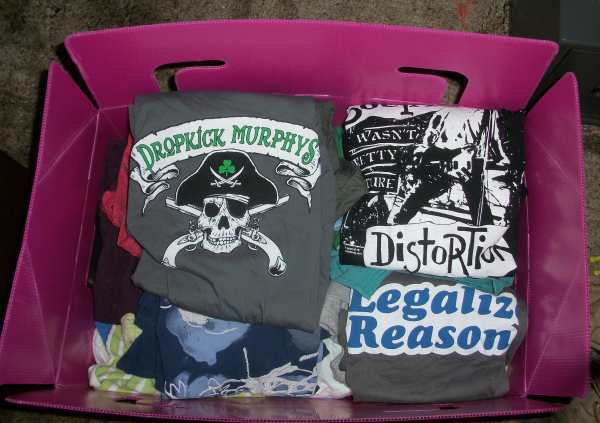 It held all of my t-shirts, making plenty of room in my closet for fall clothing. Plus it fits very nicely, leaving extra room for more stuff to store on my closet floor. The Packaways have so many uses, and they’re so easy to use. Plus, I think they’re really pretty!